Photo: A wooden decorative pumpkin has a sign that reads, "Be thankful." I love the fact that Thanksgiving falls as early as possible this year, because that gives us more time between Thanksgiving and Christmas. I love the Christmas season, but I also love to give Thanksgiving its due. The two holidays go together so well; first, we express gratitude, and then we celebrate the birth of Him who has given us everything. And, as the hymn states, "Because I have been given much, I too must give." Our focus turns outward, and we seem more inclined to help others. I'm looking forward this year to another #LightTheWorld season. Instead of "25 Days, 25 Ways," this year the focus will be on weekly themes, rather than daily challenges. It should be much more do-able. I'll have more information in future posts, but wanted to give you a heads-up. Also, if any of you are interested in writing a guest post about how you serve your faith, family, community, or world, please let me know! 1. I met a woman who founded Stitching Hearts Worldwide, a charity that partners with Lifting Hands International and other organizations to provide quilts and other items to refugees and people in need. Today I have the privilege of participating in a quilting bee to tie quilts to send to Paradise, California. Paradise is the town that burned to the ground in the Camp Fire earlier this month. 2. The combined efforts of many people can make a difference. Alone, I can't make a dent in the woes of the world, but collectively, we can. 3. Although I can't single-handedly rebuilt a town or bring about world peace, individuals can help other individuals. A smile, a kind word, or a simple acknowledgement can lift both the giver and the receiver. 5. Technology can also bring families together. I love to watch Relative Race and see individuals discover their relatives. Also, thanks to a distant cousin uploading photos to Family Search, I recently saw photos of my great-great-grandmother. 6. While technology can be a wonderful tool, nothing beats gathering together in real life. Though most of my kids will not be with me at Thanksgiving, I will have the chance to gather with other relatives. I'm looking forward to that, and to the chance to see more of my kids over the Christmas break. 7. My house provides comfortable shelter. I have been fortunate during my life to always have a roof over my head and protection from the elements. 8. I have good, healthy food to eat, and clean fresh water to drink. I know that isn't the case for everyone in the world. 9. Family, near and far, old and young, are the most important people in my life. 10. John, as always, stands beside me. What are you thankful for this season? Pull up a chair and let's chat! Thank you for joining in the conversation. Just because i cannot do everything, does not mean i cannot do something. It's great to see people do what they can, very encouraging. Looking forward to finding out what your LightTheWorld is. Excellent TToT. Direct, simple and to the point*. Totally agree on the power of technology (in general) and this here internet here (in particular). The diversity that it enables (for those willing) is nothing short of remarkable. Thank you. The internet is amazing, isn't it? "Inividuals can help other individuals. A smile, a kind word, or a simple acknowledgement". This warmed my heart, because these are things everyone of us can do. We have so much ability to help others on an individual level. It's those one-on-one connections that have the most impact. Everyone needs to believe in the power of 1, multiplied. One person CAN make a difference. I think it is easy to discount our abilities, yet we can readily see the impact that others make in our own lives. 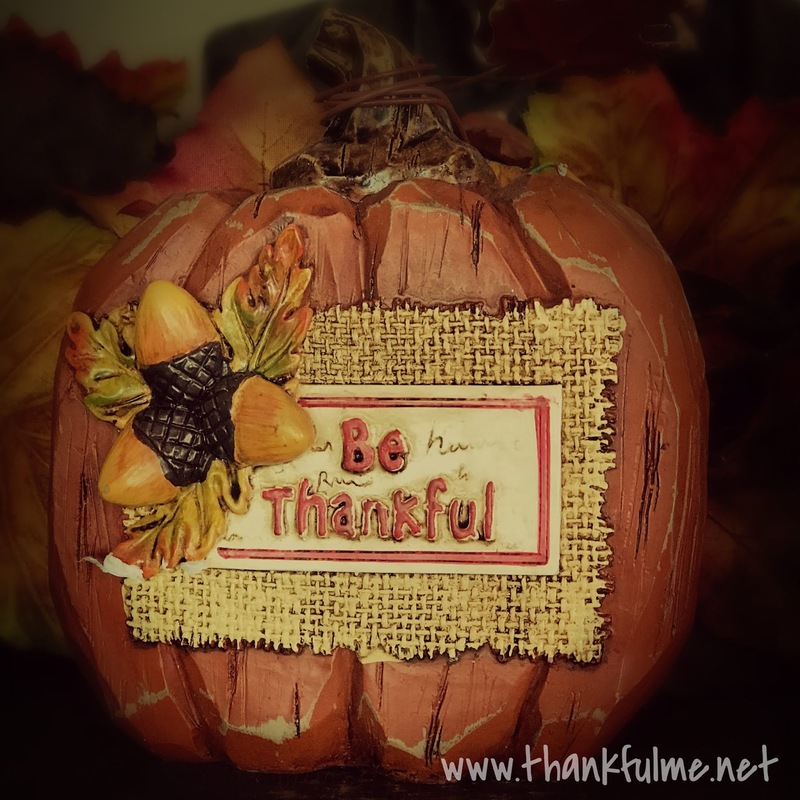 Ten Things of Thankful: Welcome, November!